considered Ross McKenney one of the strongest influences in their lives. After retirement, Ross set down a sketch of his life: LANGUAGE OF THE FOREST. 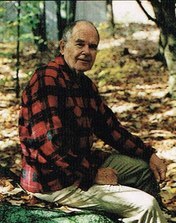 He described growing up in Maine at a time not long removed from pioneering, when work was done by hand or horse, and what you needed, you made. His school was the woods and farm, his teachers the rough men he grew up with. David L. Kendall, compiler, editor, and co-author of this book, entered Dartmouth in 1941 and was drawn to Ross McKenney as to a magnet. 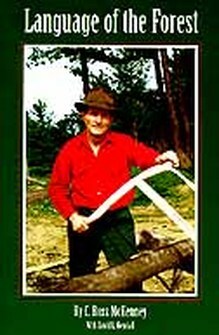 This book, combining Ross's autobiography with background and anecdotes from family and Dartmouth friends, is a labor of love and testimony to a most unusual man.